The battle for the gold medal in women’s figure skating came down to two Russian athletes. 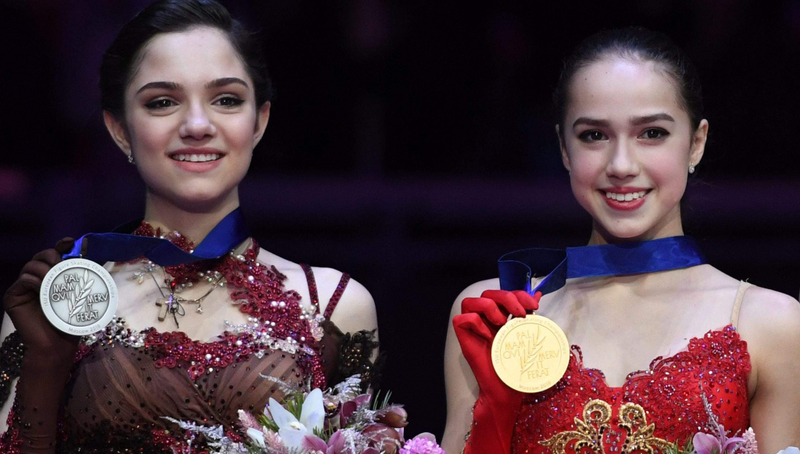 Despite their friendship off the ice, 15-year-old Alina Zagitova and 18-year-old Evgenia Medvedeva showed themselves to be fierce competitors on the ice, each representing Olympic Athletes from Russia in the ladies’ free skate competition. They placed first and second, respectively, with Zagitova winning the first gold medal of the 2018 PyeongChang games for the Olympic Athletes from Russia. A skating prodigy, Zagitova became the second-youngest women’s figure skating gold medalist in history. Only American skater Tara Lipinski, who won the gold in 1998, did so at a younger age than Zagitova, by just four weeks.